The SFEMS Baroque Workshop, now entering its 5th decade, is the oldest workshop of its kind in the world. The enterprise began in 1978, when the City of Berkeley asked harpsichordist and early music evangelist Laurette Goldberg to set up a week-long summer music camp at their Cazadero facility, which already hosted a number of other instructional programs, notably the famous Jazz Camp. What Laurette did was revolutionary. She assembled a wonderful faculty, the best players and singers she could hire from near and far, bringing some from Europe. Response from the nascent early music community was overwhelming, and the workshop was repeated the following summer. 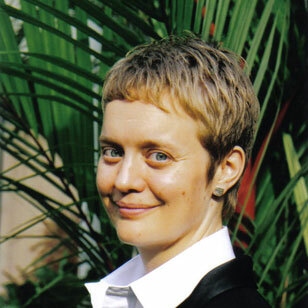 In 1980, Laurette asked her friend and colleague Anna Carol Dudley to take over as director, under the auspices of SFEMS, and the Baroque Workshop moved to Dominican College in San Rafael, where it remained for nearly 3 decades. In 2009, it moved again, this time to the well-equipped Green Music Center on the idyllic campus of Sonoma State University in Rohnert Park. 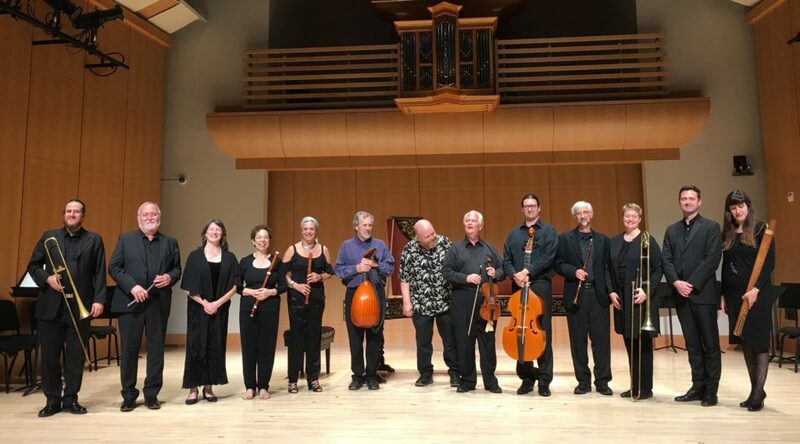 In recent years, the workshop has taken another innovative step under its new director Linda Pearse, becoming the first workshop in the US to devote substantial emphasis to music and instruments of the early baroque period. The number of distinguished performers and scholars who have taught at the SFEMS Baroque Workshop over the years is remarkable, as is the list of now-well-known musicians who attended in the formative years of their musical development. The ability to work up close and personal with faculty who are not only masters of their art but working at the cutting edge of interpretation and discovery creates a wonderfully heady, happy atmosphere, and many who became intoxicated never left. The workshop quite literally changed people’s lives, in some cases enticing people to take up new instruments or devote themselves to new bodies of music, in some cases even to change careers and devote themselves to music. The five summer workshops the Society sponsors each year are at the core of what SFEMS does to increase appreciation for early music and historical performance practice among both amateurs and professional musicians. While a week’s worth of instruction, ensemble coaching, repertory classes, faculty concerts, and performance add up to a remarkable deal for the price, tuition can be a burden, particularly for younger attendees. Moreover, like all SFEMS programs, tuition covers only part of workshop expenses, salaries, housing and transportation for faculty, facilities rental, etc. To ensure the future of the Baroque Workshop, longtime supporter Robert Dawson, himself a founder and former faculty member at 3 other SFEMS workshops, established a scholarship fund to help give emerging musicians in need the opportunity to experience a career-changing immersion in baroque performance with the Baroque Workshop’s top-notch faculty. Next month, faculty members will present a special, salon performance of music some of which will be featured at this summer’s workshop. “Opulence and Splendor: the Italian Influence” will be held on the evening of February 24th at a private residence-studio in San Francisco’s Mission District. Soprano Rita Lilly, cornettist Bruce Dickey, recorder player, Clea Galhano, cellist/gambist Bill Skeen, trombonist Linda Pearse, and harpsichordist Peter Sykes will perform dazzling works by seventeenth-century Italian composers, including Giovanni Paolo Cima, Nicolò Corradini, and Sigismondo d’India. The evening of sweet musical indulgences will be followed by a champagne and dessert reception! According to SFEMS newsletter editor Jonathan Harris, who attended last year’s event, both the music and the food were amazing. The concert’s intimate venue is a unique architectural space, originally built in the 1920’s as a cigarette warehouse for the nearby Armory. It has lived many other lives since then, and was featured in the New York Times in 2012 after it was renovated to become our hosts’ home, art studio, and performance space. Striking electronic art created by one of our hosts is displayed throughout the building. Close to public transportation and a commercial parking lot; street parking usually available as well. Thank you for supporting our growing workshop. we hope to see you at the concert in February and in Sonoma for the workshop in June!